The second comic. Hooray! It’s another morbid quanto-comic. Stories that involve killing are easier to write. I experimented with using shades of gray in this comic. 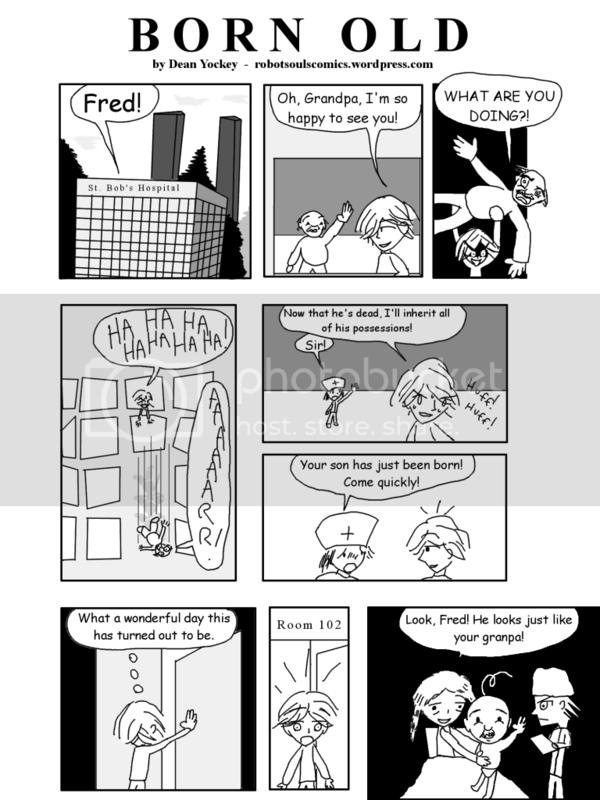 This entry was posted in Short Comics and tagged birth, comics, family on June 30, 2014 by Dean Yockey.